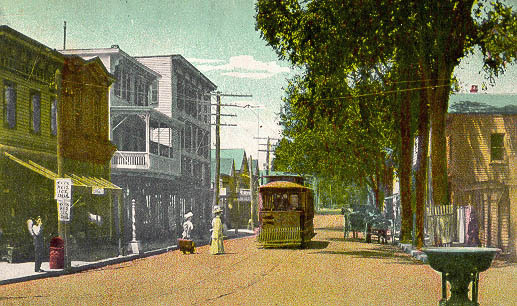 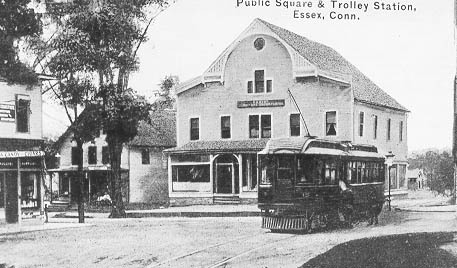 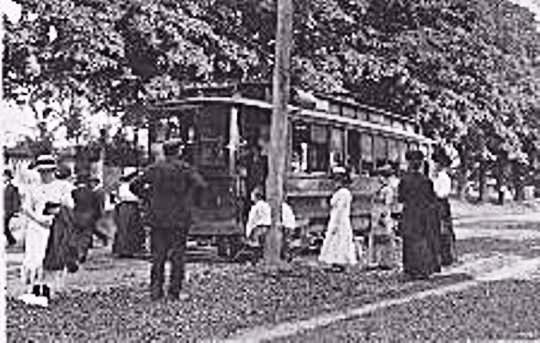 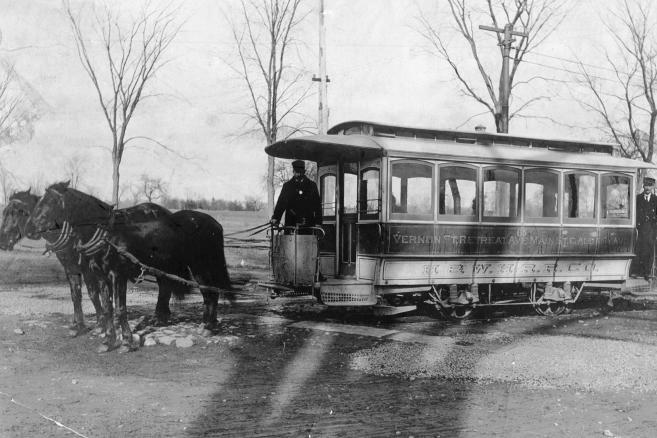 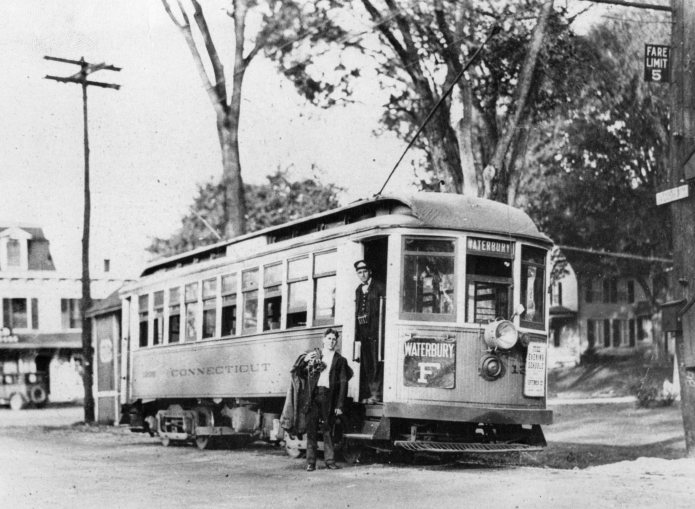 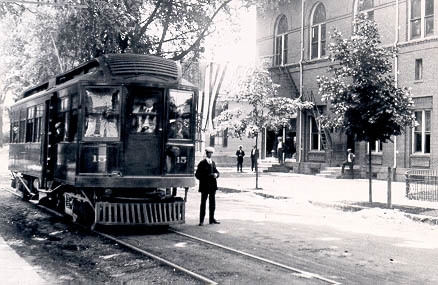 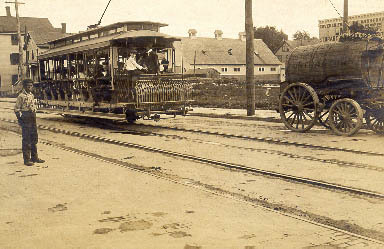 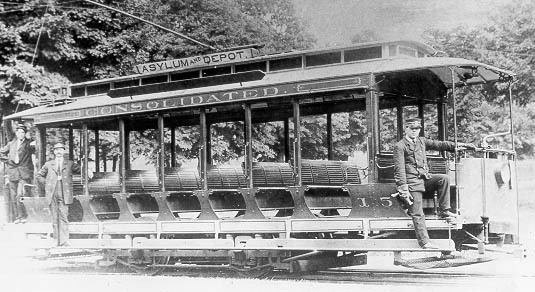 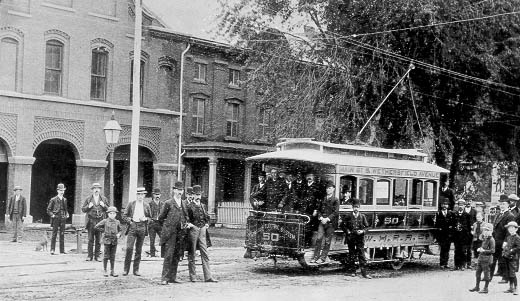 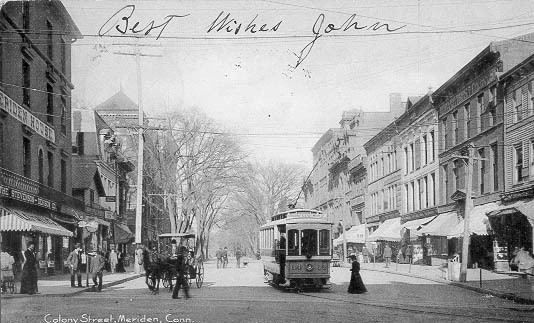 Trolleys were an important part of life in Connecticut from the late 1800s through the mid-20th century. 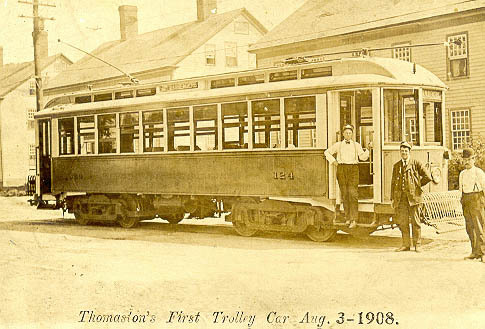 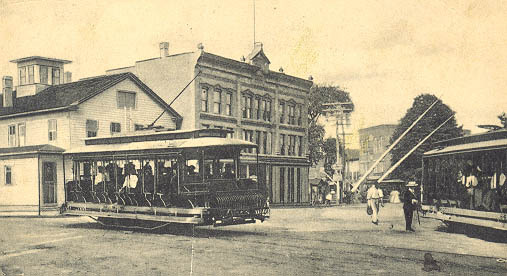 In an age before family ownership of an automobile was common, the trolley gave the average person an affordable, convenient way to travel around town and between towns, creating many suburban communities. 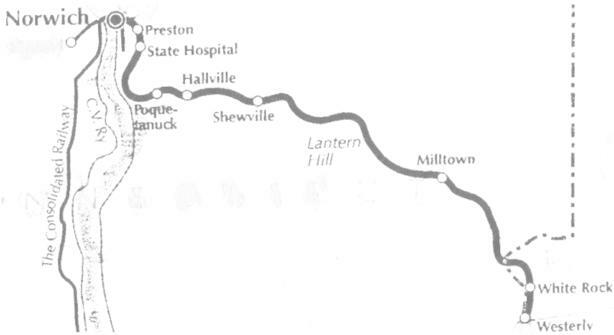 The map below shows the extant of the trolley lines across the state at the height of the trolley era. 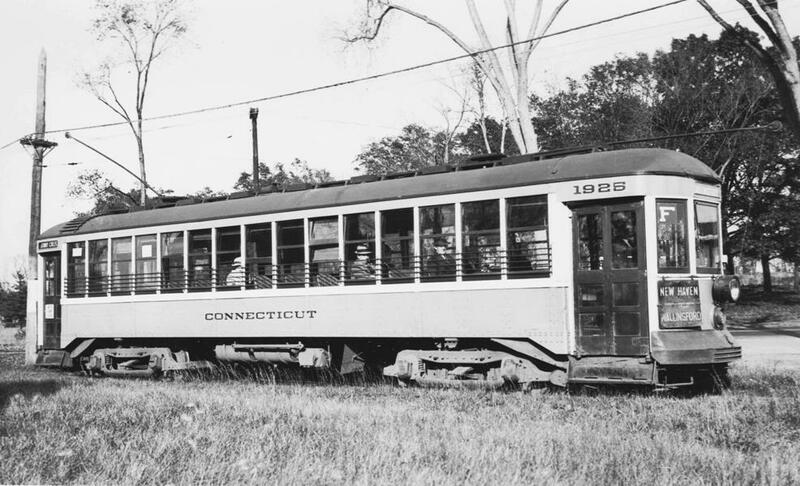 This historical and educational web site was created through a collaboration between East Haven High School, The Shore Line Trolley Museum and The Connecticut Trolley Museum, through grants provided by SNET and the Connecticut League of History Organizations. 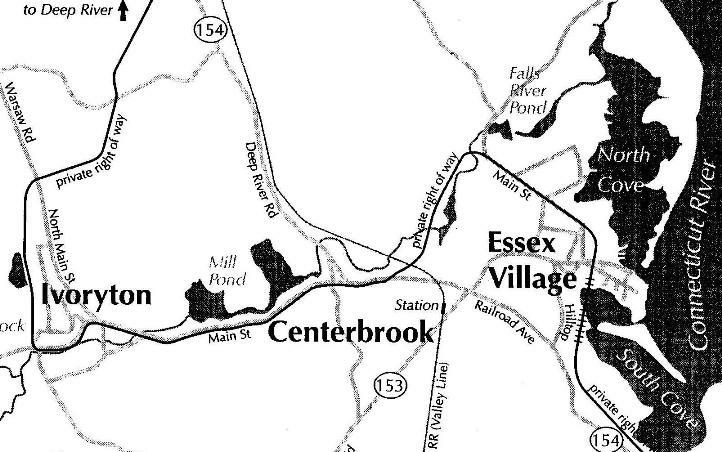 Each dot below provides more detail about the Trolley Towns in Connecticut, arranged alphabetically. 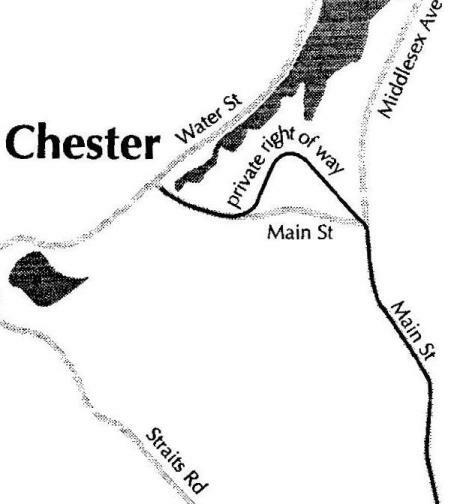 You can also use the arrows to scroll through the list town by town. 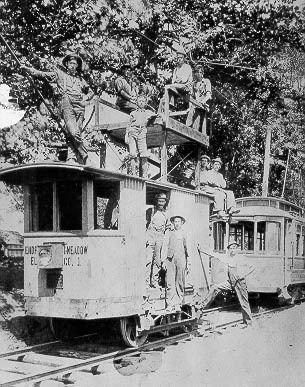 We are continuing to enhance and update pages as time allows. 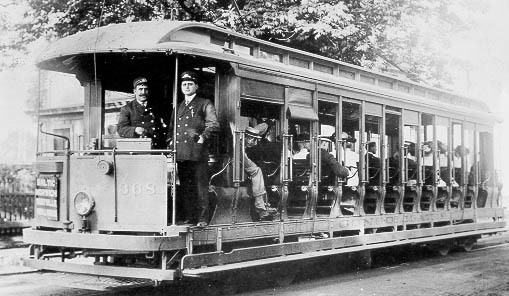 Chester was served by the Shore Line Electric Railway from 1914 to 1919. 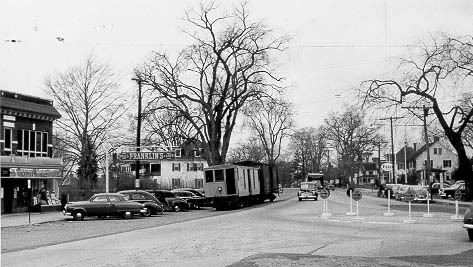 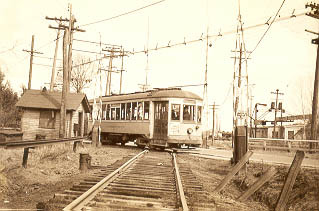 Darien, Noroton and Noroton Heights were served by cars on the Stamford-Norwalk line which ran along the Post Road (U. S. 1). 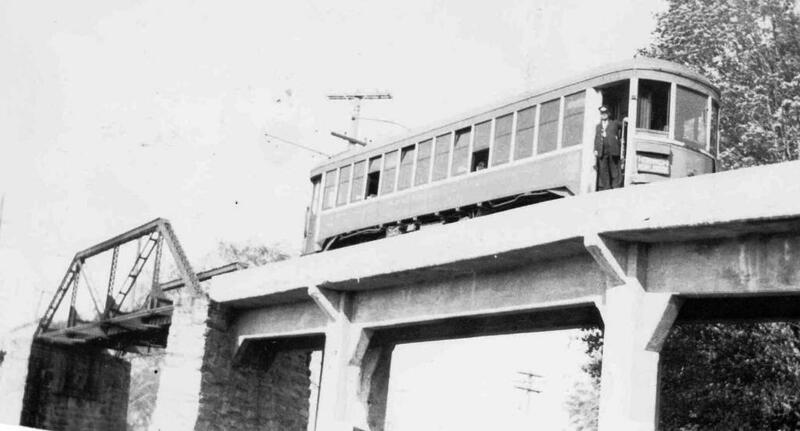 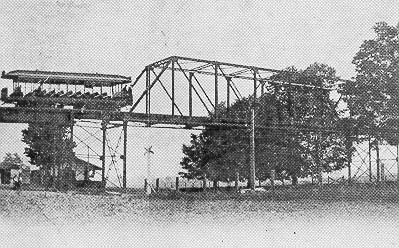 Before a track connection was made with the Conn. Co. Stamford Division in 1914, passengers had to walk across the Noroton River Bridge. 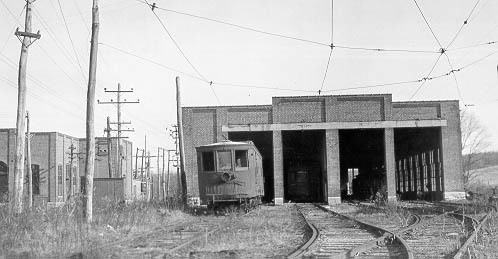 Through cars operated until 1935. 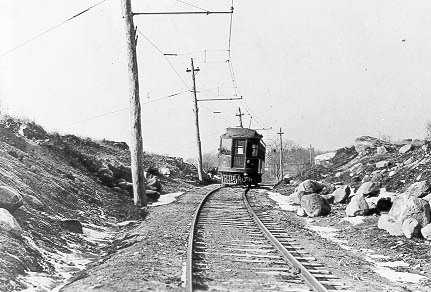 A line from Rockville to Melrose passed through Ellington and Sodds Mill in the western portion of the town until 1910. 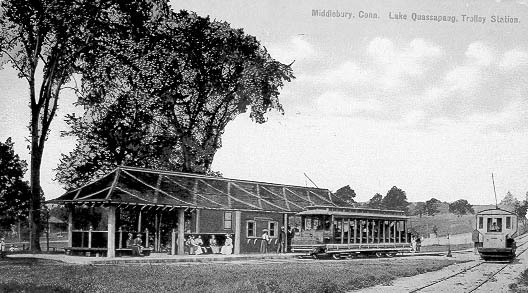 Crystal Lake in the eastern section of the town was served by cars on the Rockville-Stafford Springs line until 1928. 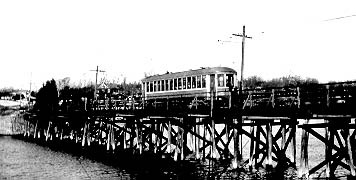 This old shipbuilding town was served by the Shore Line Electric Railway from 1914 to 1919. 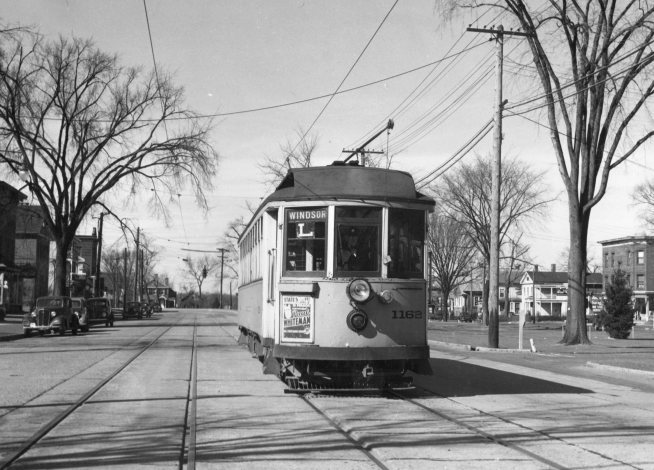 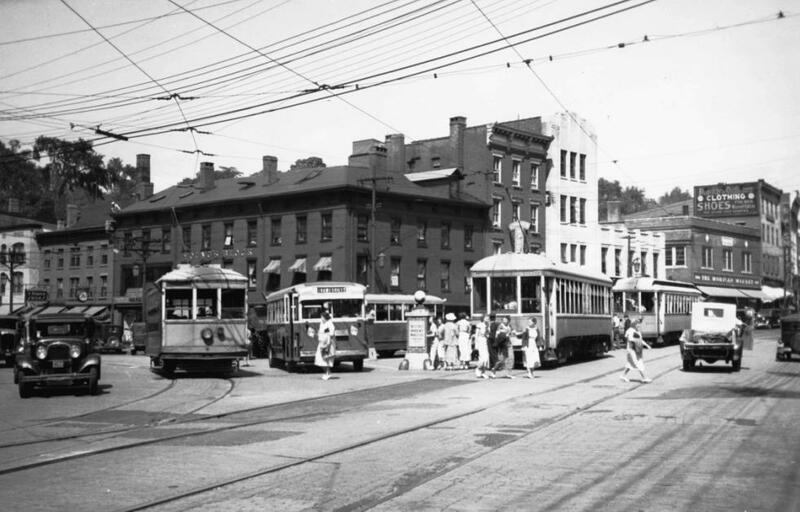 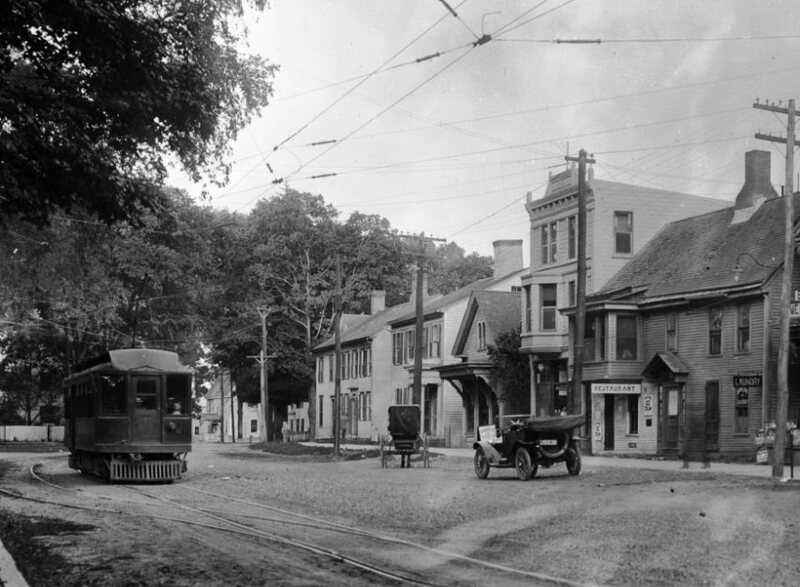 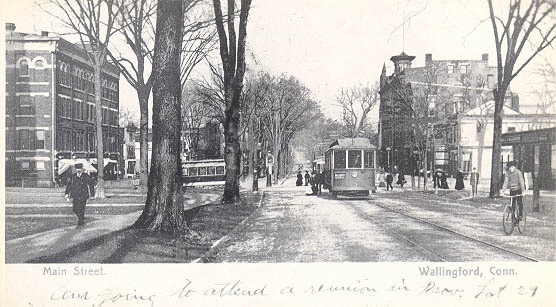 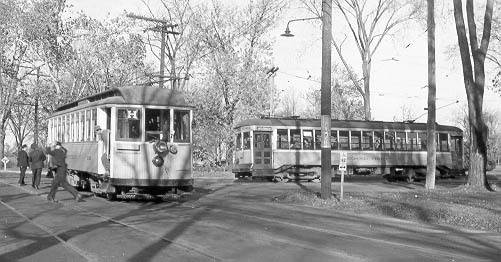 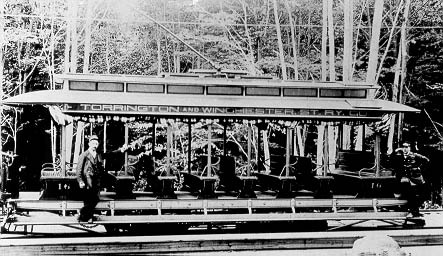 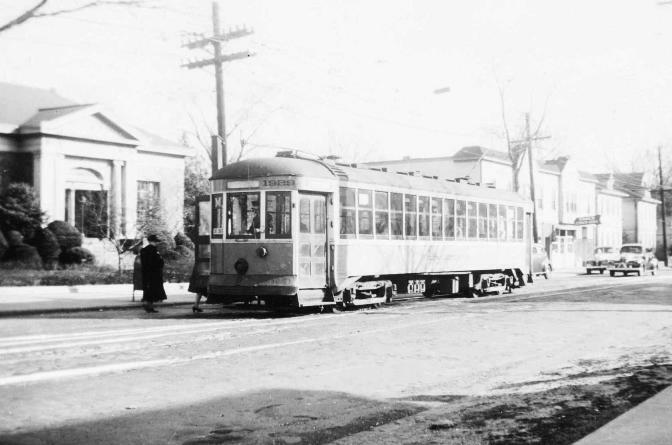 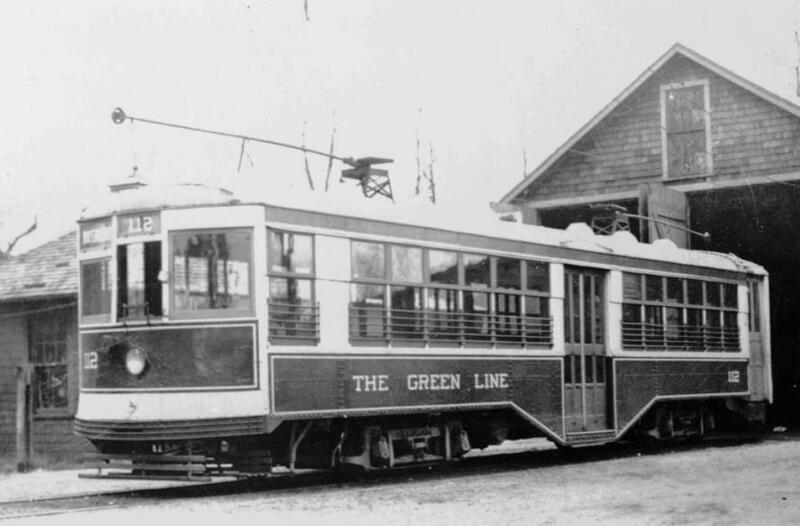 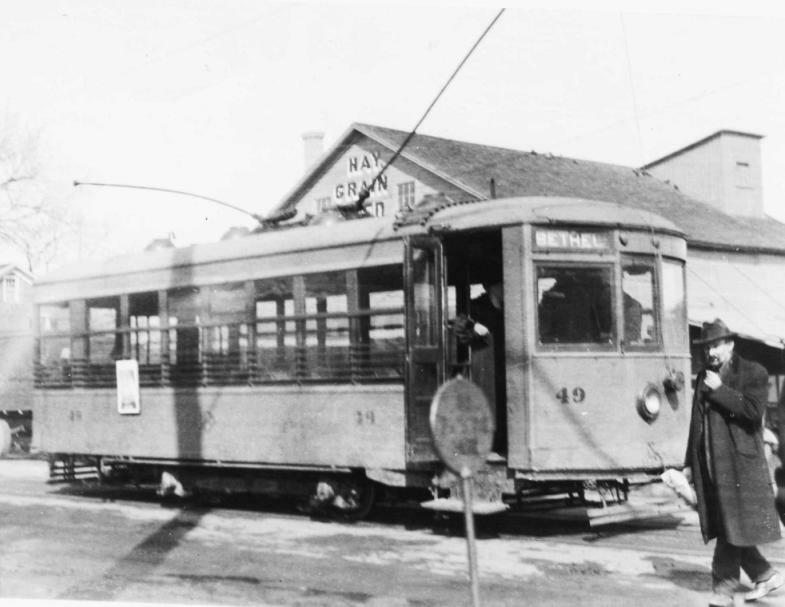 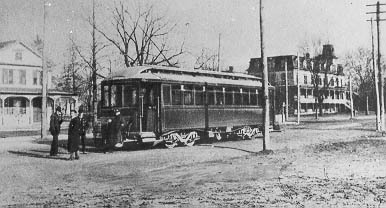 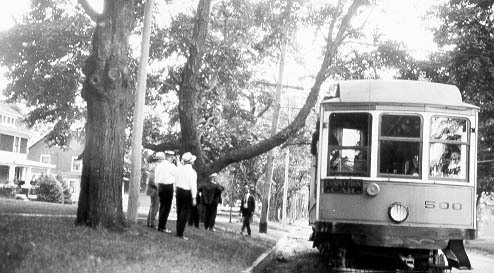 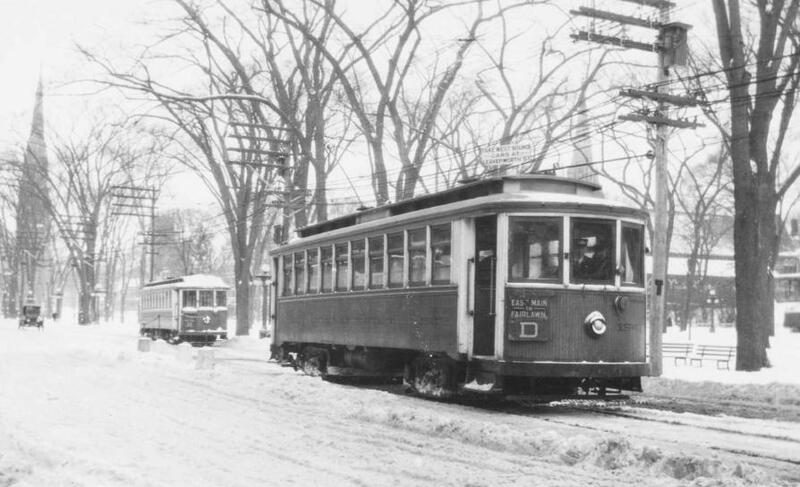 Trolleys ran on a New Haven RR line through the cotton and rayon textile center of Jewett City from 1906 to 1925. 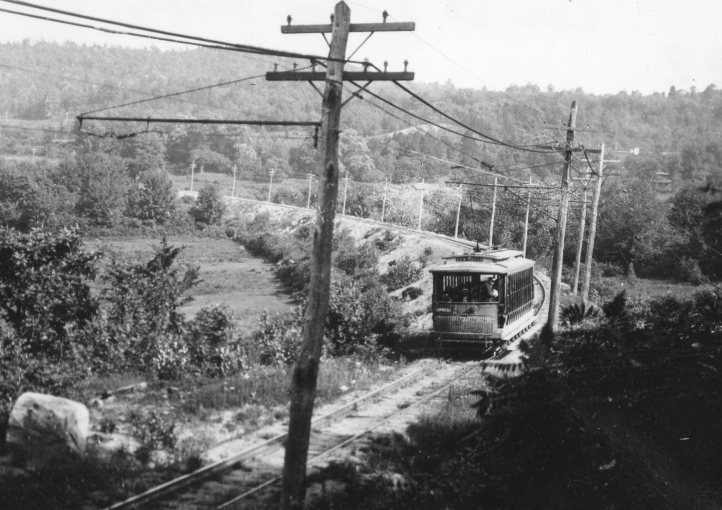 Groton was served in 1904-1928 by the Groton & Stonington, a part of the Norwich & Westerly and Shore Line Electric systems. 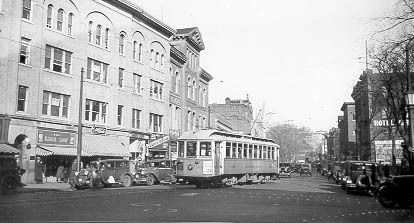 Cars ran every half hour. 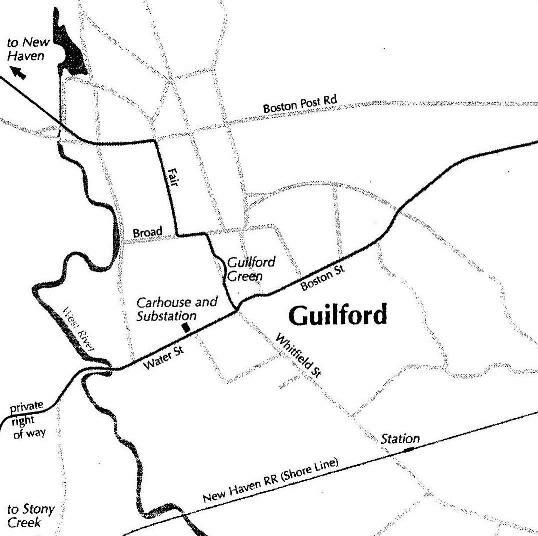 Guilford's main industries were oystering and quarrying; granite from Guilford supports the Brooklyn Bridge and Statue of Liberty. 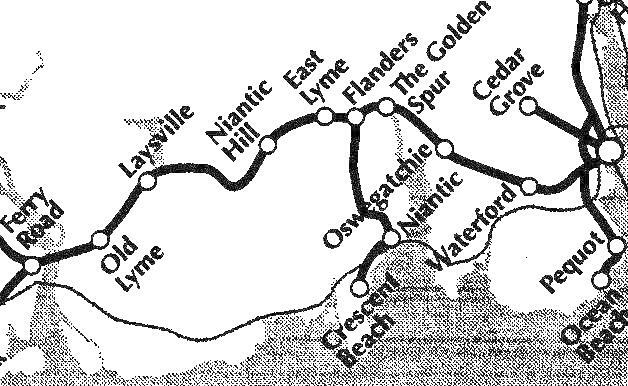 In 1910, the Shore Line began running through Leete's Island to Branford; the mainline to North Branford and New Haven opened in 1911. 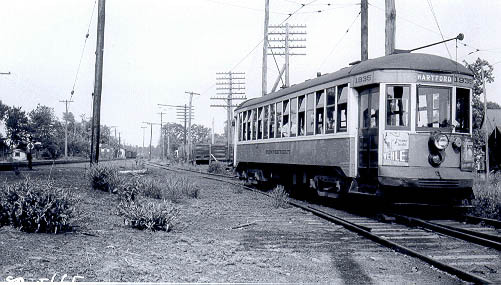 The Shore Line Electric Railway ran until 1919; the successor New Haven & Shore Line operated from 1923 to 1930. 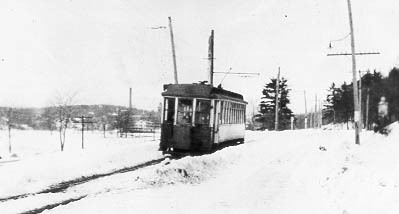 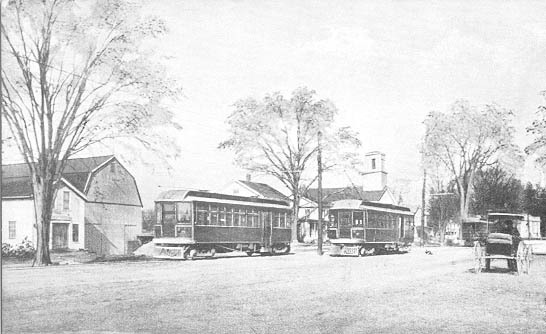 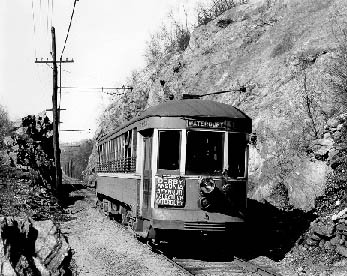 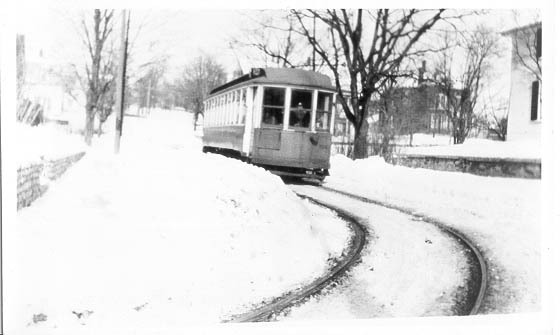 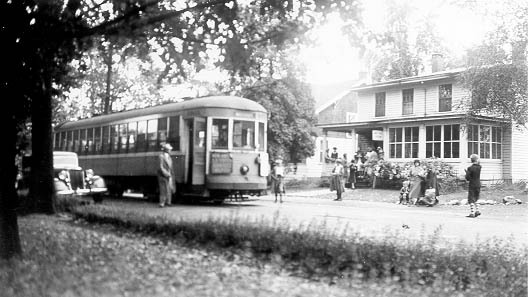 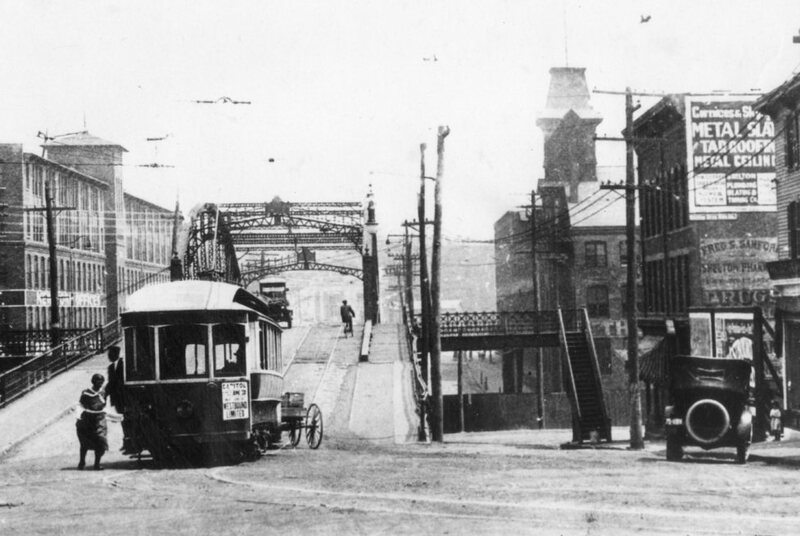 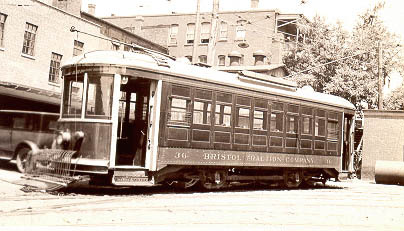 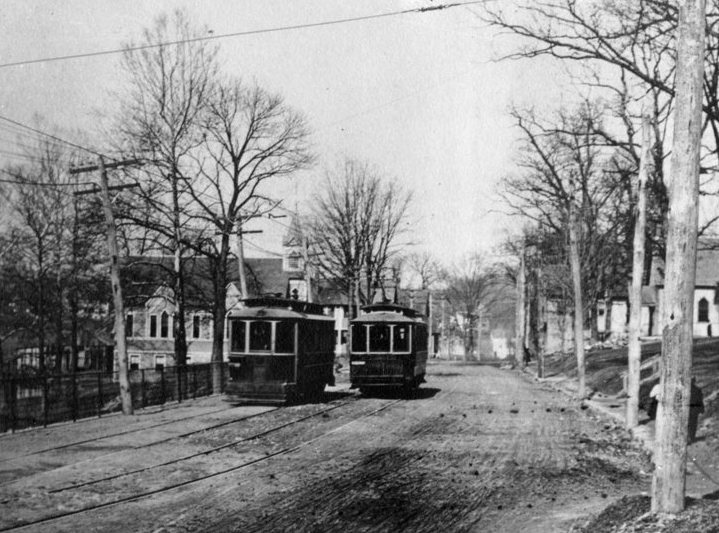 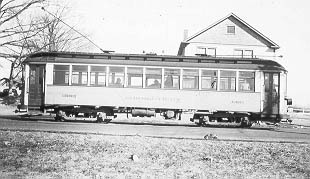 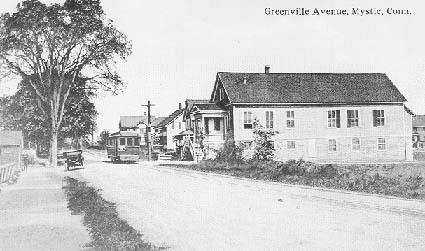 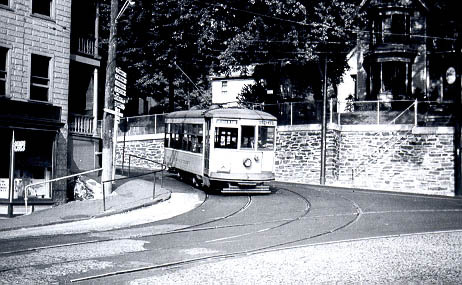 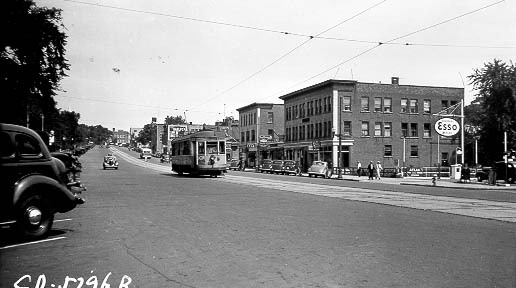 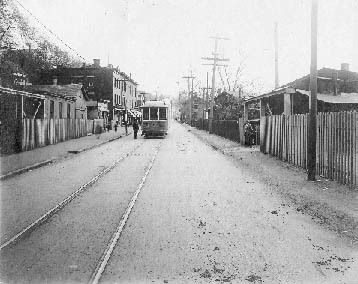 Trolleys passed through the Round Hill area of the town on the New Haven RR line along the Quinnebaug River from 1906 to 1925. 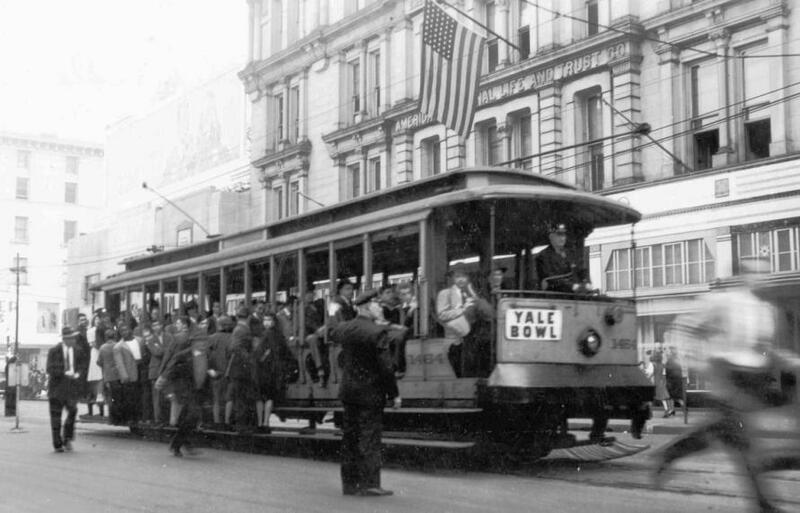 The area was sparsely settled and few people got on or off in Lisbon. 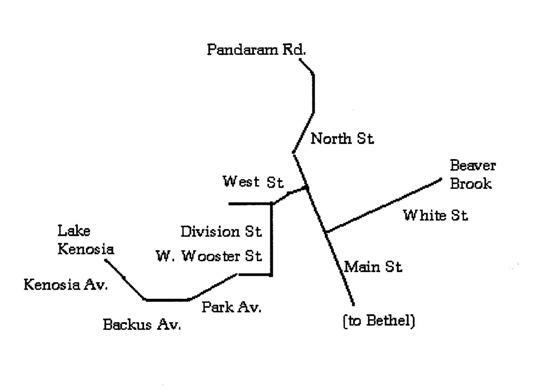 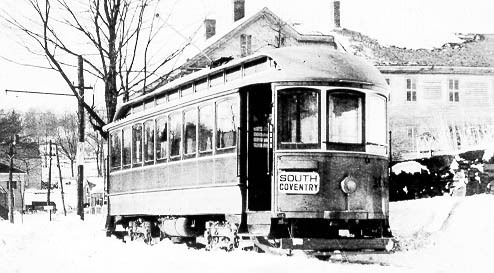 The Willimantic-Coventry line ran across the southwest corner of the town through Perkins Corner from 1909 to 1926. 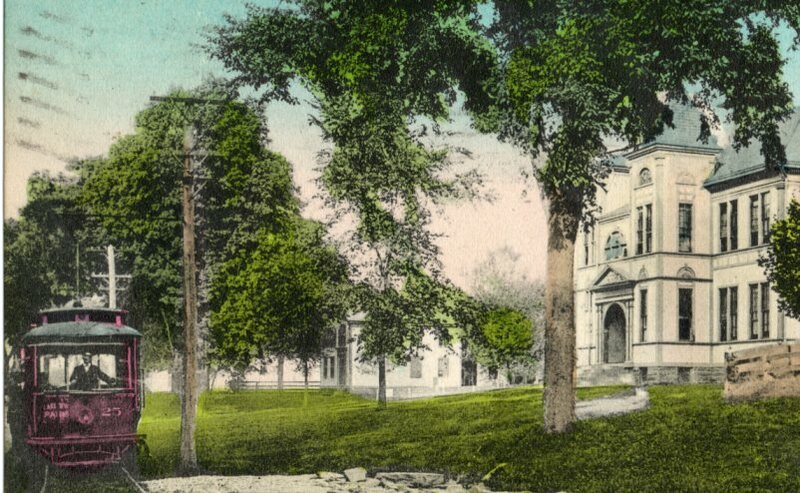 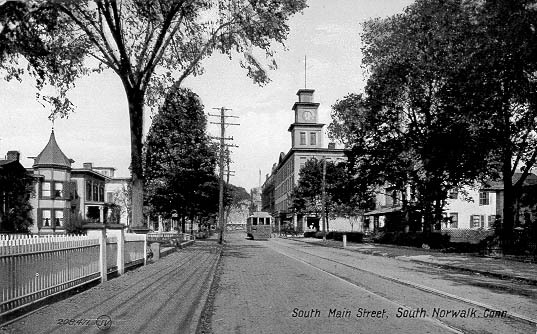 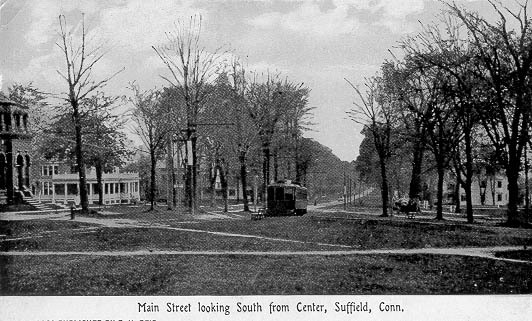 Middlefield was originally a part of Middletown but was made into a separate town in 1866 - one of the last towns to be incorporated in the state. 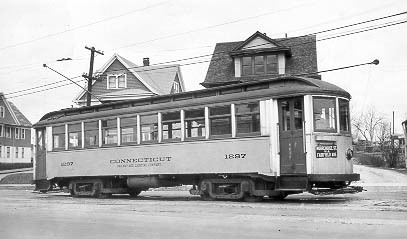 It was served by cars from Middletown until 1929. 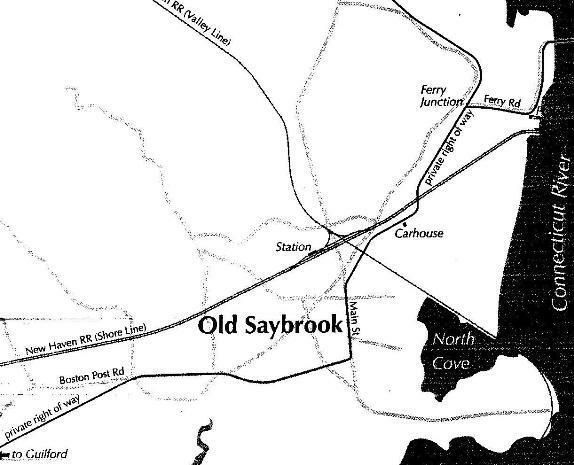 This town manufactures paper, silk and cotton products. 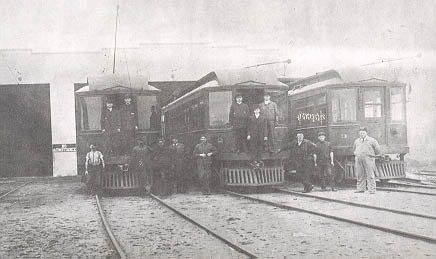 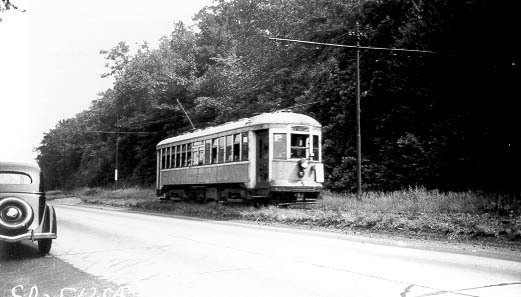 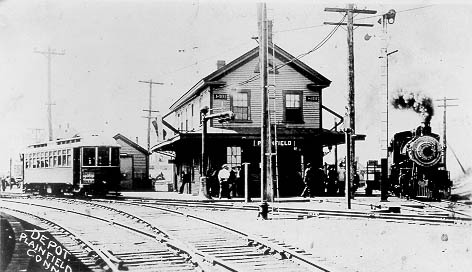 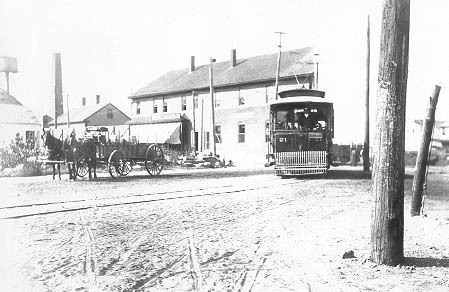 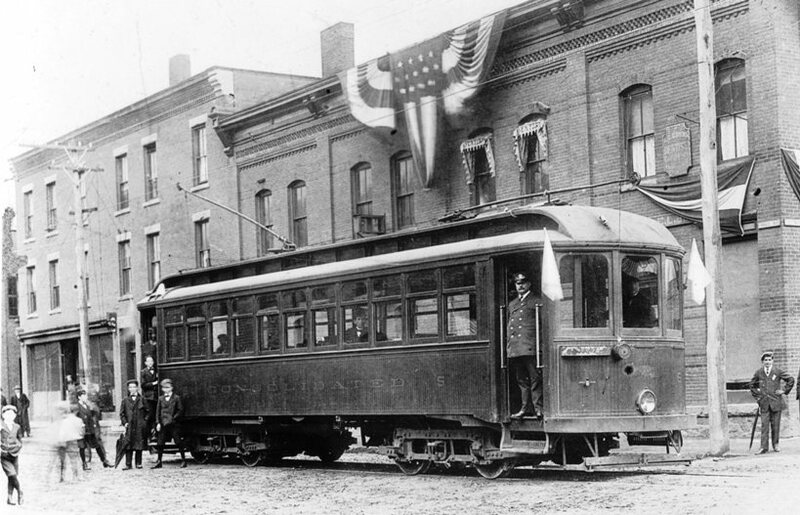 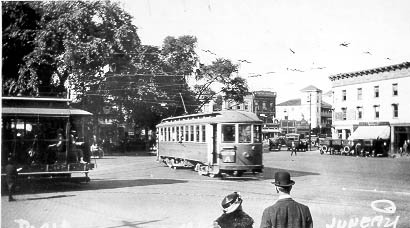 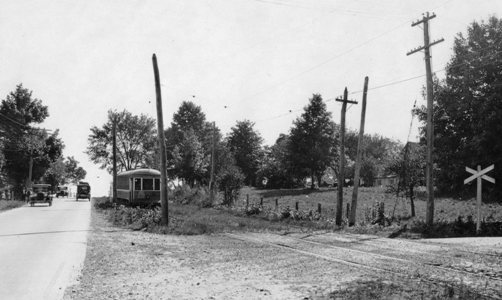 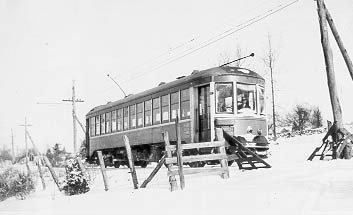 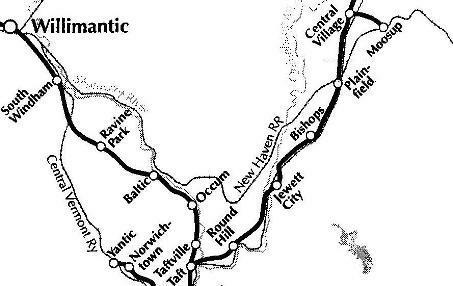 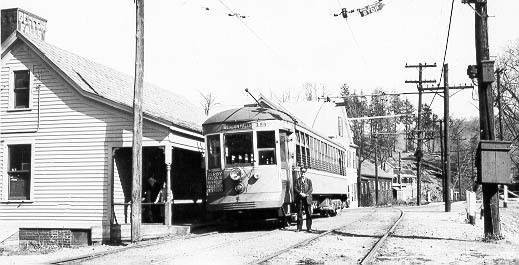 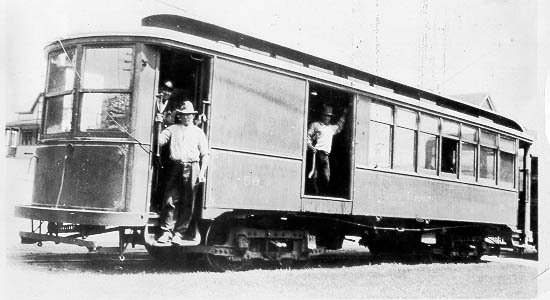 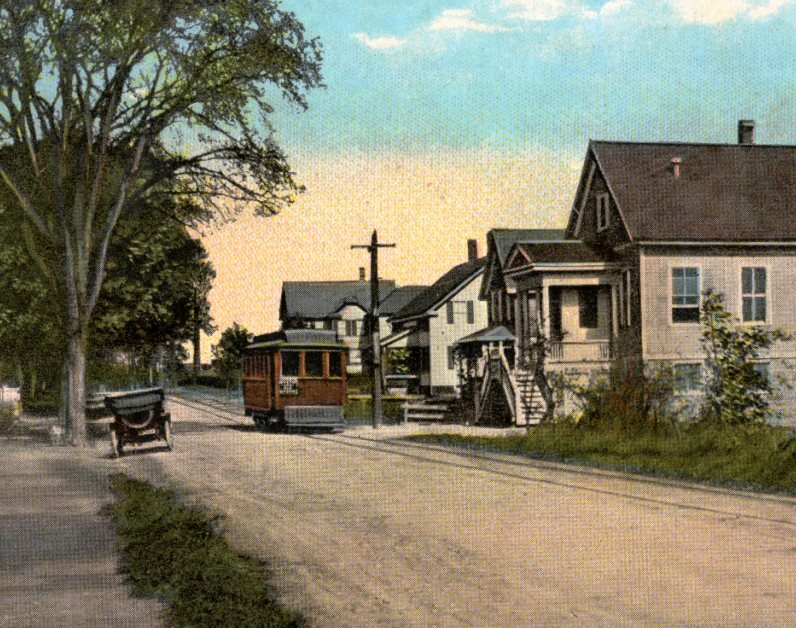 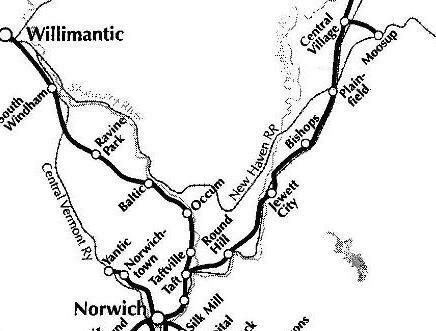 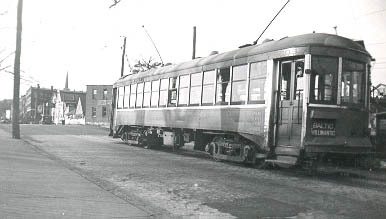 Cars on the Norwich-New London line ran north-south through the east side of the town until 1934. 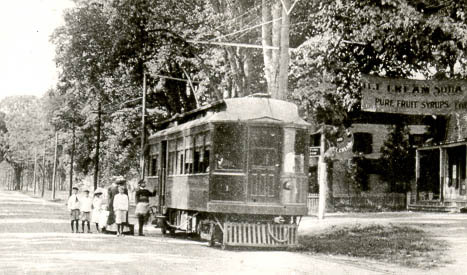 Dodgingtown on the western border of the town was reached by a line of the Danbury & Bethel Street Railway. 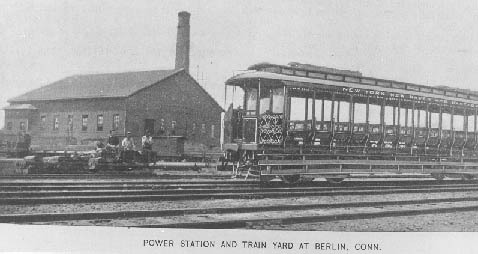 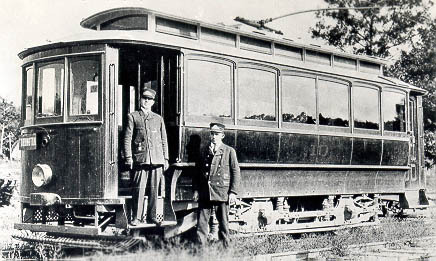 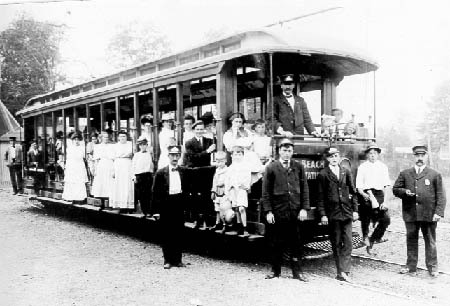 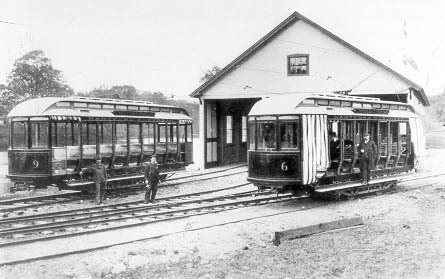 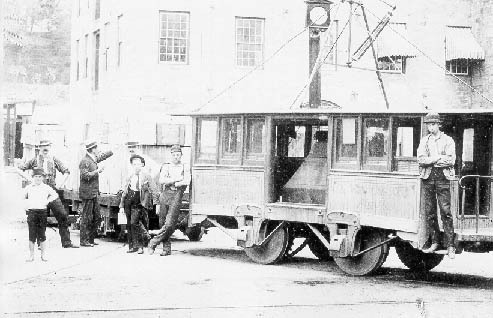 The Shore Line Electric Railway ran through Laysville and Old Lyme from 1913 to 1919. 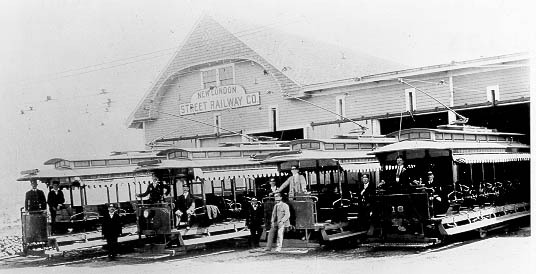 The lock-manufacturing village of Terryville was served by the Bristol-Plainville Tramway / Bristol Traction Co.
Redding has four primary sections: Redding Center, Redding Ridge, West Redding (including Lonetown, Sanfordtown, and Topstone), and Georgetown which extends into the towns of Ridgefield, Weston and Wilton. 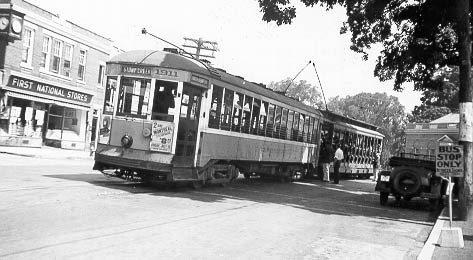 There were no streetcars in Redding, but the New Haven RR ran electric trains through Sanford and Topstone on its line to Danbury until 1959. 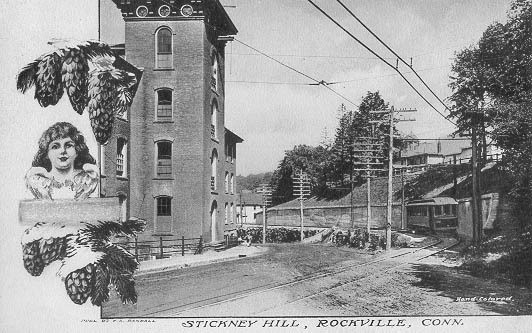 Mines in the town of Ridgefield produced quartz, feldspar, mica and other minerals. 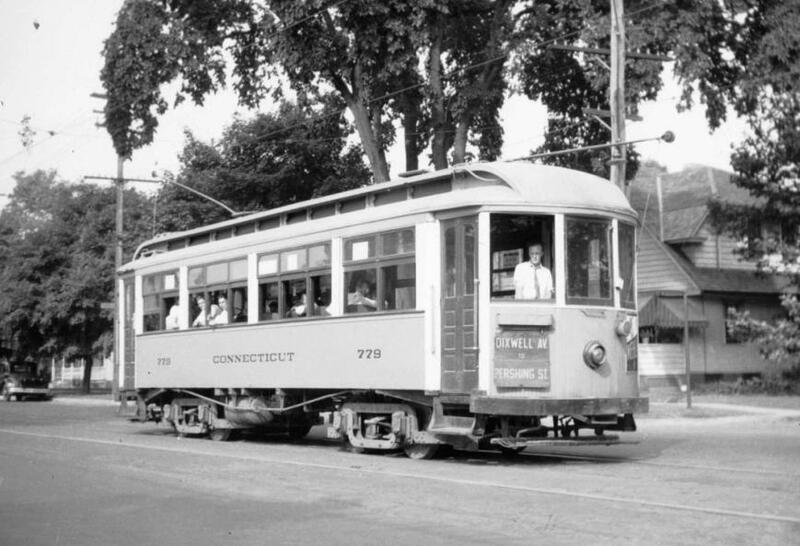 The town had no streetcars but, until 1959, the New Haven RR electric trains to Danbury passed through Branchville, a neighborhood extending into Wilton and Redding. 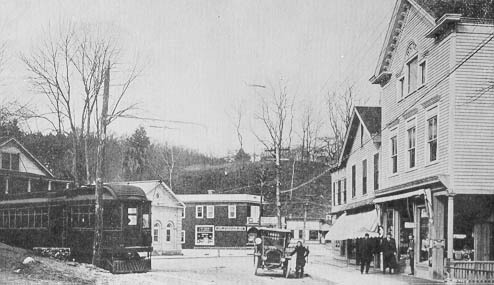 Branchville was named for the railroad branch line running west from that point to Ridgefield village. 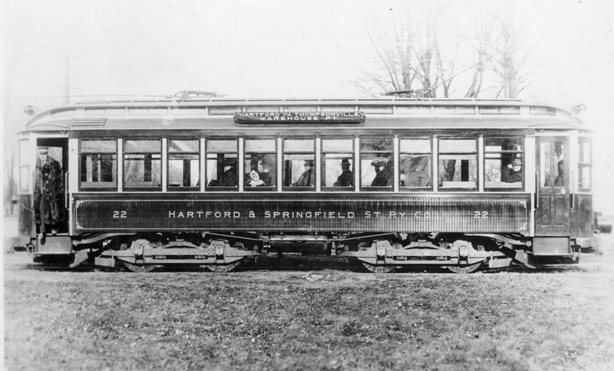 Rocky Hill was served by cars on the Hartford-Middletown line. 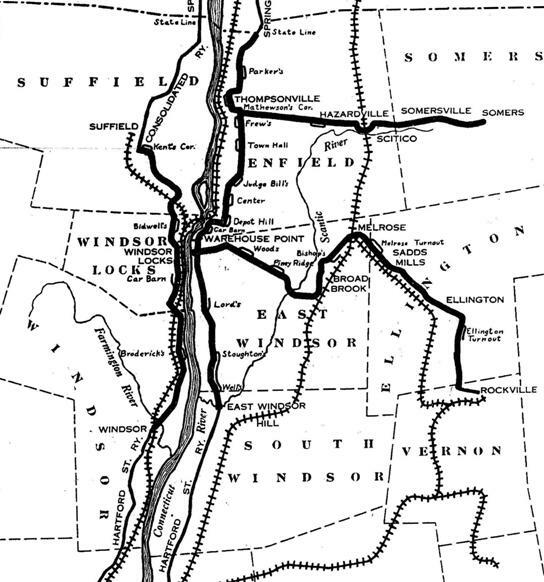 A Hartford & Springfield Street Railway branch ran eastward from Enfield into Somers until 1925 along present day CT Route 190. 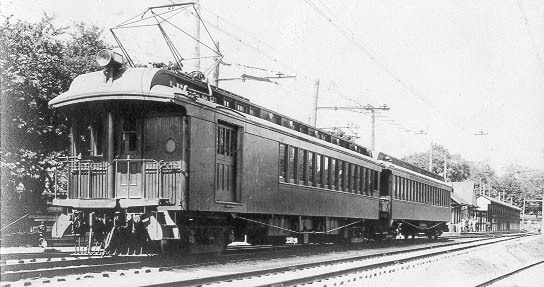 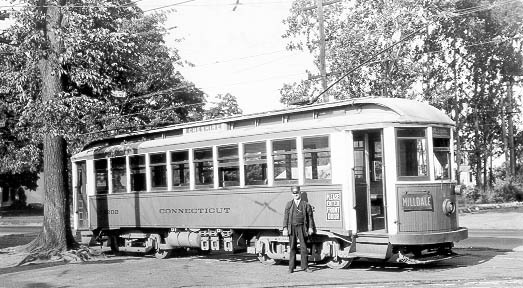 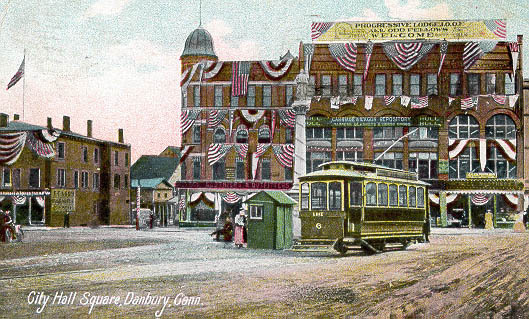 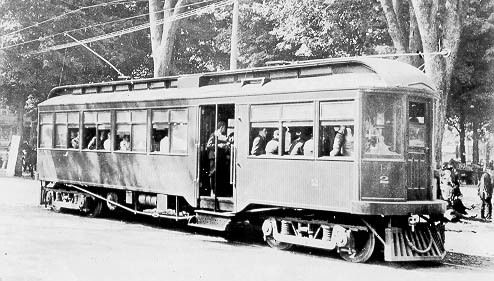 Wilton had no streetcars, but the New Haven RR ran electric trains through Wilton and South Wilton on its line to Danbury. 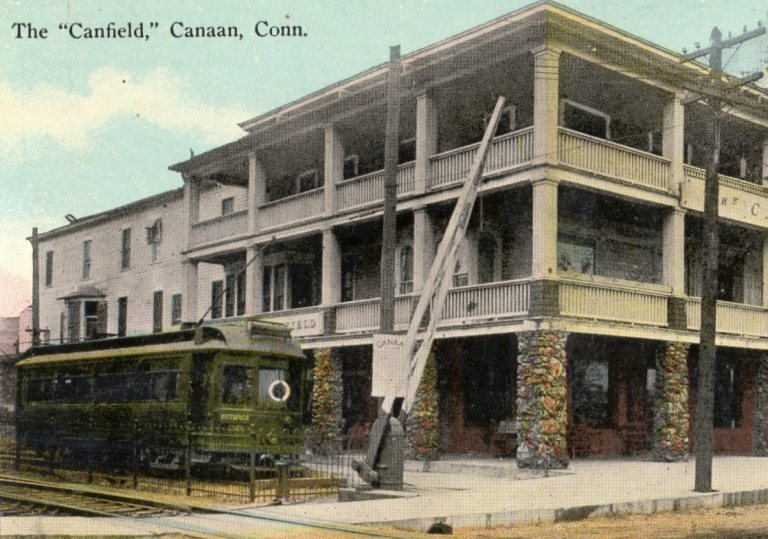 There were two stations in the town - one in Wilton Center and one just north of the town center at Cannondale.